The Oysta Help on hand mobile device offers the latest in mobile telecare safety. 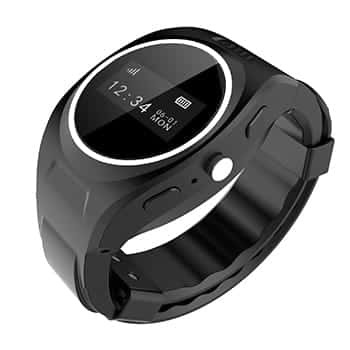 This special watch has an inbuilt one touch SOS button and GPS location tracking. The Help on hand mobile device ensures you have peace of mind, confidence and freedom, both out and about and in your home. It is designed for those who prefer a wearable item rather than a pendant style device. One touch SOS alarm button to help you in an emergency. Create GPS safe zones to monitor movements in and out of areas at certain times. Reminder messages can be pre-set to send to the device. Auto-answer to a nominated person or our Anchorcall team. The Oysta Help on hand device is available to members of the public and customers already living with Anchor. You can choose to either self-monitor alerts from your Oysta Help on hand with support from just a nominated person, or for extra peace of mind, Anchor’s Anchorcall team can be on hand 24/7.